John Frederick Lott was the best English maker of the 19th century. His skill in making Guarneri del Gesù and Stradivari models was unrivaled. 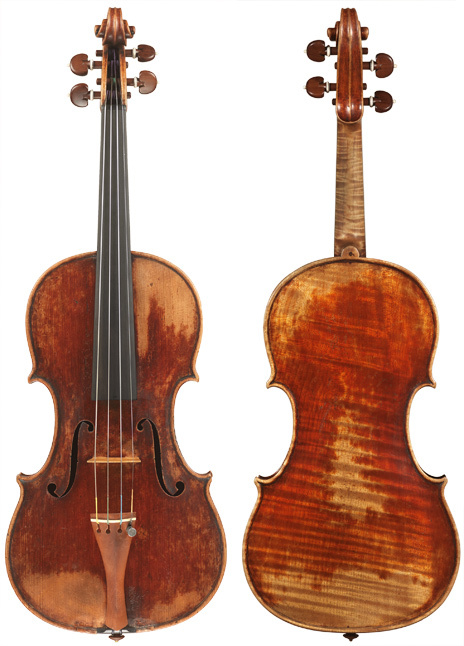 This Guarneri model by Lott is an extraordinary example of the maker’s best work. Lott lived a very colorful life and is the only violin maker we know of who for many years earned his living as an elephant trainer for a traveling circus. The novel Jack of All Trades by Charles Reade was based on Lott’s life. Lott started out as an apprentice to William Davis, but the apprenticeship was ended after only four years. In 1832, after a brief time making instruments for Edward Dodd, Lott spent many years away from the business, including his time as an elephant trainer and, most importantly, working as a wood grainer where he mastered techniques to make wood show age and wear. He returned to London and making sometime after 1843 and opened his own shop at 60 Wardour St. Lott’s expertly crafted del Gesù and Stradivari models are also exceptional tonally and found great success during the maker’s lifetime and are still in high demand today.